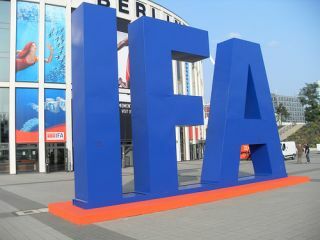 Germany's IFA show kicks off later this week, now in its 85th year (the show launched in 1924) with all the world's tech enthusiasts keenly anticipating a slew of new product announcements from the likes of LG, Samsung, Sharp and Sony, TomTom, Philips, Acer and lots, lots more. And the news that the show has now been fully booked is certainly cause for celebration, as TechRadar's team begin to pack their kit bags and get ready to head out to Berlin for a punishingly enjoyable wade amongst the latest gadgets and gizmos that the tech industry has to offer. "Business (in Germany) is better than we had assumed it would be at the start of the year," IFA organiser Hans-Joachim Kamp told Reuters. IFA's major press conferences and product announcements will take place this coming Thursday, with the show opening its doors to the public on Friday and running through until September 9. IFA is now, unquestionably, the European equivalent to the US Consumer Electronics Show (CES) that kicks off the new year with a flurry of new gadgetry each January in Las Vegas. "We're expecting more than 1,200 exhibitors from some 60 countries, just as many as in 2008," an IFA spokesman said. TechRadar will be bringing you news and our usual exclusive first-look hands-on opinions of all the latest tech on show (and launching) at IFA 2009 from the likes of LG, Samsung, Sharp and Sony and all the other major tech brands in attendance. German market research firm GfK predicts the big trends at IFA 2009 will be energy efficiency, TV design and picture quality and TV-Internet connectivity. "The cocooning effect (staying at home for entertainment) is continuing to be reinforced this year in Europe, and IPTV (Web-based TV) will continue to drive the TV market," claims GfK. 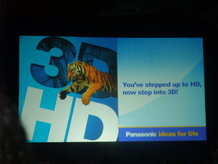 TechRadar is particularly keen to see full HD 3D from Panasonic and to find out if there were any substance to those rumours of a new OLED TV from Sony.